Holy crap Nichelle knows a lot about cupcakes. She’s trying to wrangle a cupcake-themed convention in Philadelphia, a day of cupcake talks in NYC, and the daily upkeep of the site; I don’t know if I could handle all the sweetness. Owner Marlo Scott visited with us and we talked about annoying customers. The two-people-two-coffees-at-a-table-for-four-hours customers. I told her the story about Giacomo’s (watch the video – link) and how coffee service on Friday night just plain ruins business. They have a wine bar here, which makes this a pretty nice place to get a nightcap in the village. 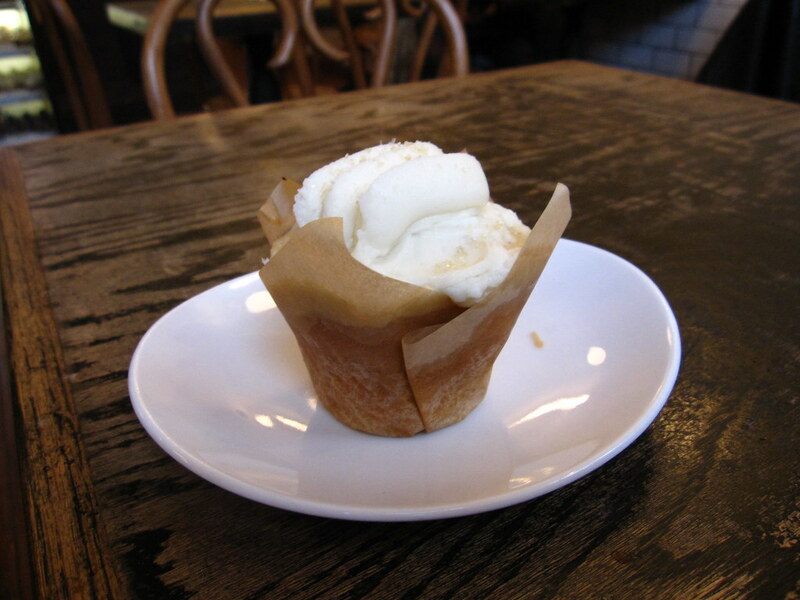 This all-white cupcake made with mexican vanilla was super sweet and a bit tangy. Did I mention soft? And Moist? 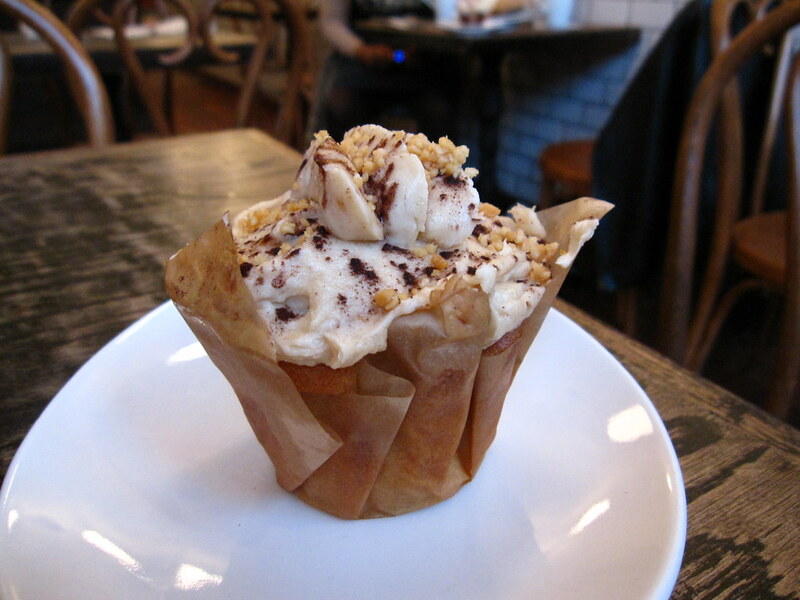 I know you can’t really get cupcakes hot, but if you could get one a bit warm, I think this one would be pretty awesome. 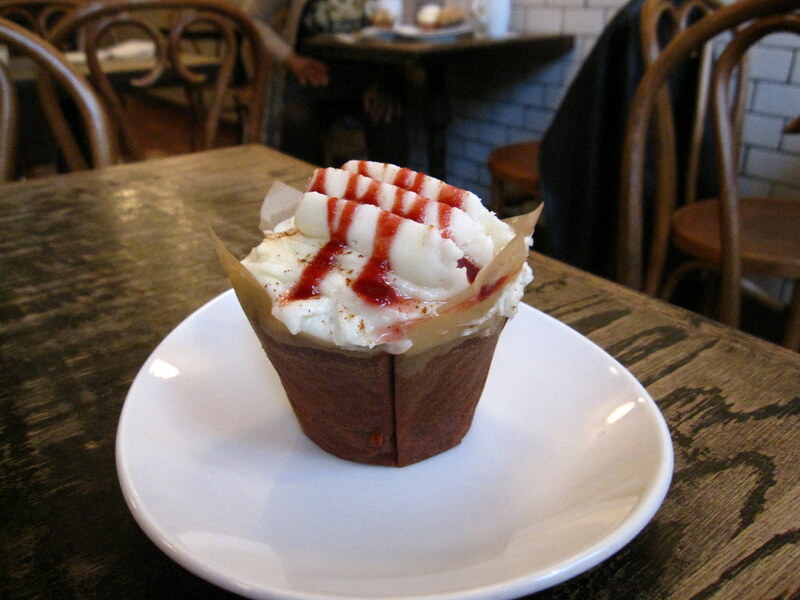 Sweet Revenge’s take on the red velvet cupcake. Taking the color to the extreme, they throw in some raspberries and a raspberry syrupy drizzle over the tart cream cheese icing. Second Place. 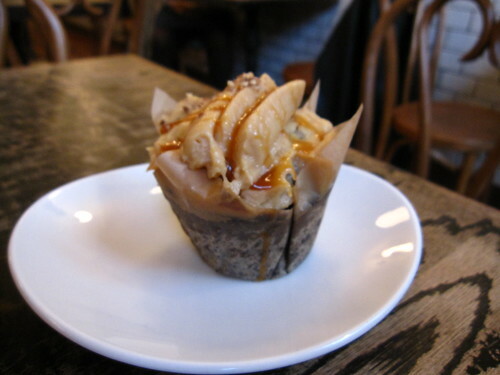 This chocolate and caramel cupcake was the only one Nichelle wanted. I’d initially been excited about the Crimson and Creme because I’ve only had two other Red Velvet Cupcakes in my life. I bit into this one just after cleansing my palate with half of the Pure Cupcake and knew it was going to be my favorite before I even tried the other two. I guess Nichelle knows her cupcakes.